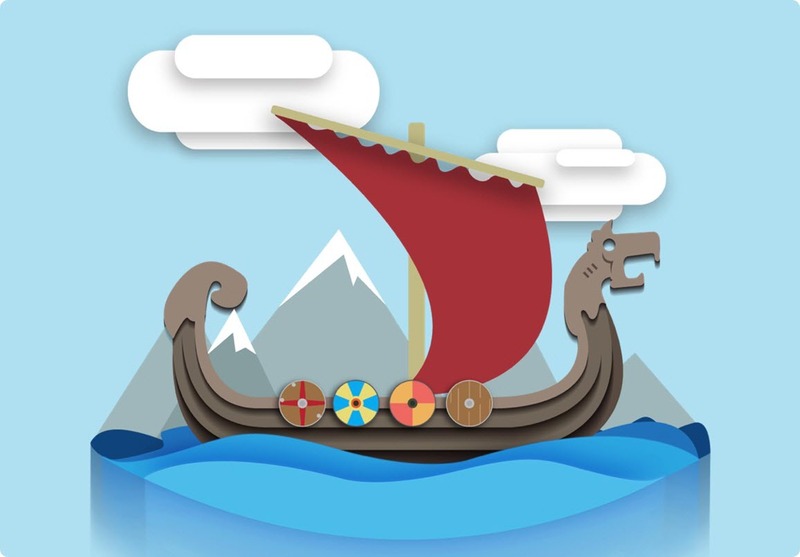 When we discuss the period of the ancient world, we are talking about cultures that occurred between 8th century BCE and 5-6th century CE. In the context of the seven wonders, we are just looking at the Greco-Roman world, which were the civilisations around the Mediterranean Sea. Are B.C. (Before Christ) and A.D. (Anno Domini) the same as BCE and CE? Yes. It was changed so that it would not refer to religion. 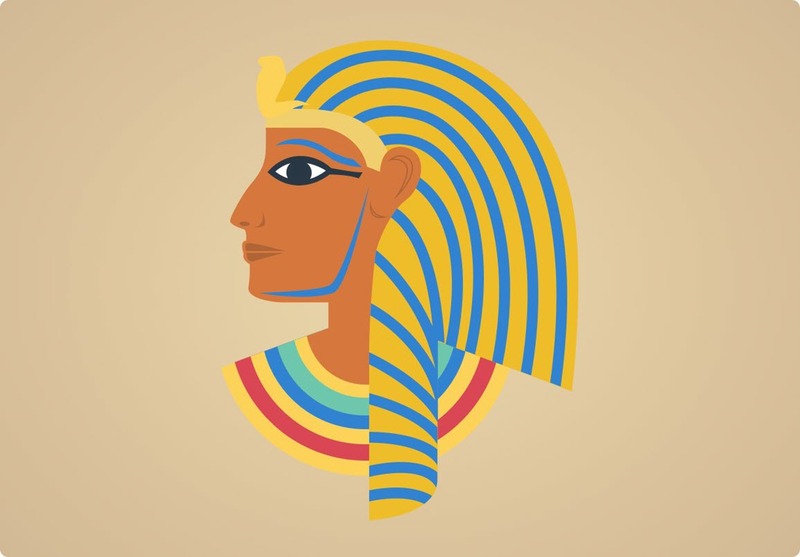 What makes something a wonder of the ancient world? During this period of our history, many people used to travel around the region. 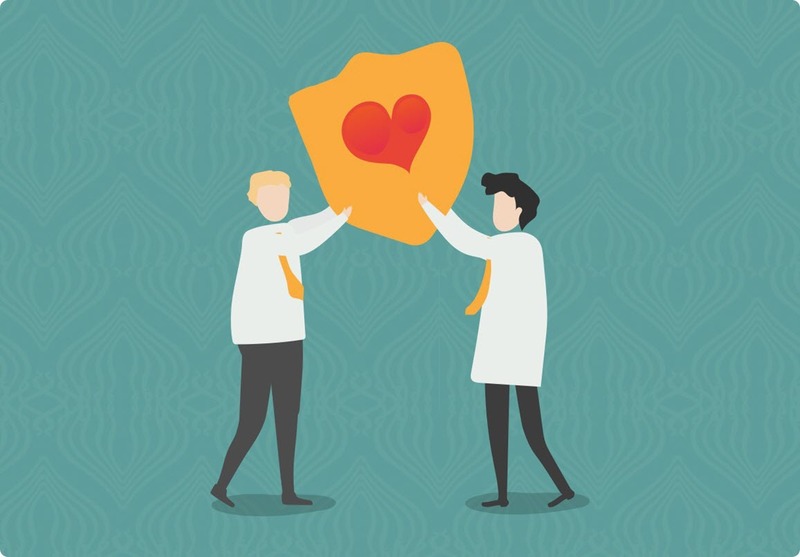 Sometimes it would be to share resources through trade. Other times it was for war or diplomacy. As people travelled around, they saw different marvels. The ancient Greeks called them ‘theamata’, which means ‘sights’ or ‘things to be seen’. Did these civilisations always have good or poor relations with certain places? No. Enemies and allies sometimes changed, so a presence in different regions was important. When and how was the list made? The first reference to a list of the seven wonders is from Diodorus Siculus, a Greek historian. Several others follow this, such as lists from the poet Antipater of Sidon and the mathematician Philo of Byzantium. However, all of the lists were composed of structures from the Mediterranean and the Middle East. 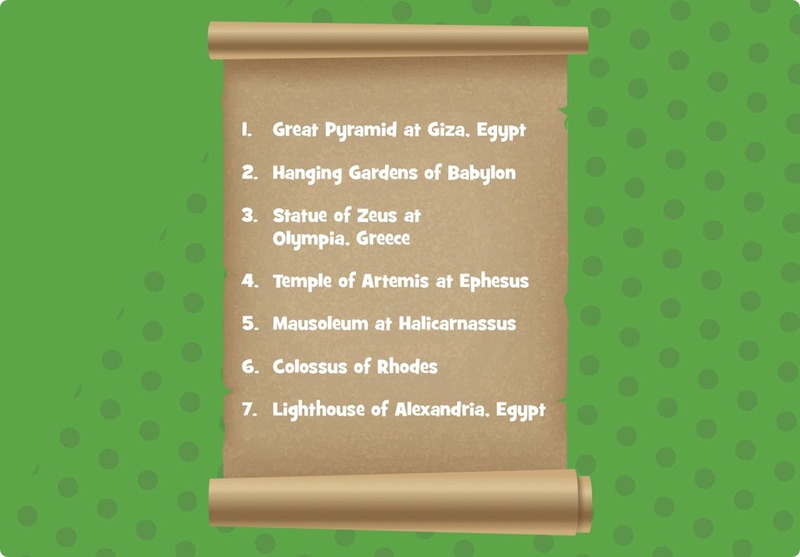 How long were all of the seven wonders in the world at one time? The Great Pyramid of Giza is the only wonder that we still have today, and all of the wonders existed together for only 60 years. What is the Great Pyramid of Giza? The Great Pyramid of Giza is a tomb that was built for Pharaoh Khufu. It is 146.5 metres tall, took 10-20 years to build, and was finished around 2560 BCE. While we cannot be sure how it was built, most studies from scientists and historians find evidence to suggest that large stones were dragged from a quarry and lifted into place. Can we still see any of the old surface of the pyramid? Yes, some of the smooth stone surface can still be seen around the base. It is generally thought that the Hanging Gardens of Babylon never existed. We have come to this conclusion because we cannot find mention of them in Babylonian texts or a site with traces of the gardens. They were meant to rise up out of the city like a green mountain, with different trees, shrubs, and vines on their many tiers. 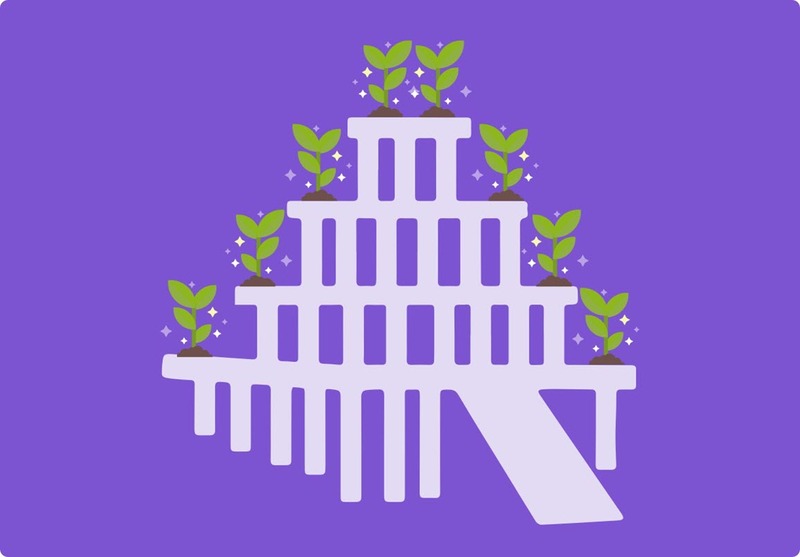 Could the legend of the Hanging Gardens of Babylon be based on another garden? Yes. They may be based on the garden of the Assyrian King Sennacherib. 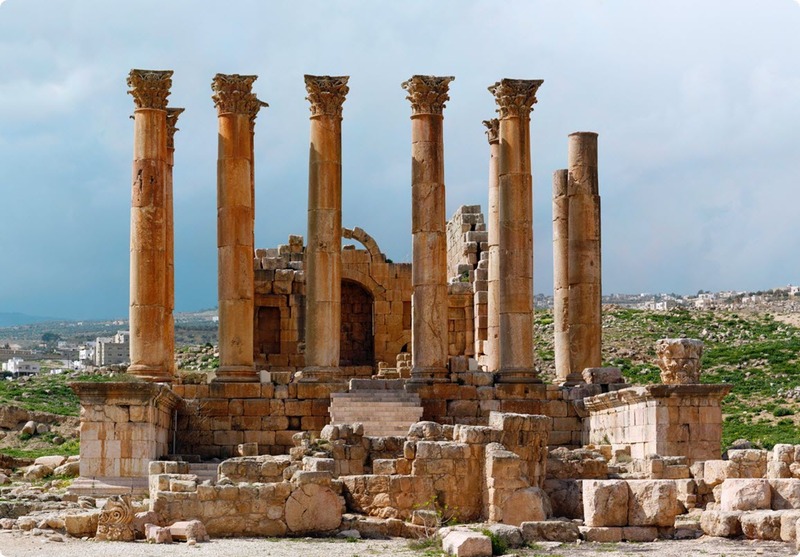 What was the Temple of Artemis at Ephesus? The Temple of Artemis was built in dedication to a local form of the goddess Artemis, who represented the hunt, forests, hills, the moon, and archery. The temple was built and destroyed three times. 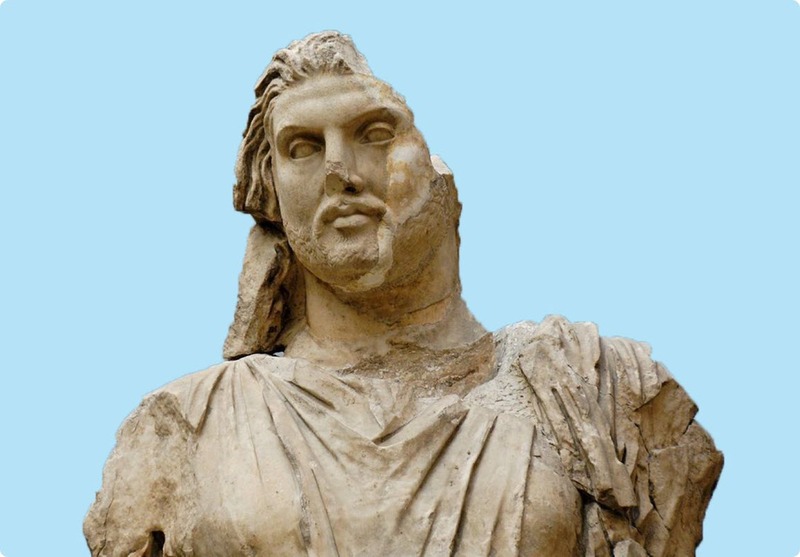 In the 7th century BCE it was destroyed by a flood, in 356 BCE the temple was destroyed by arsonist Herostratus, and in 401 CE it was torn apart for pieces after having been closed by Christians. Why did Herostratus burn the temple down? He wanted fame. As a result, a law was passed forbidding anybody to mention his name. 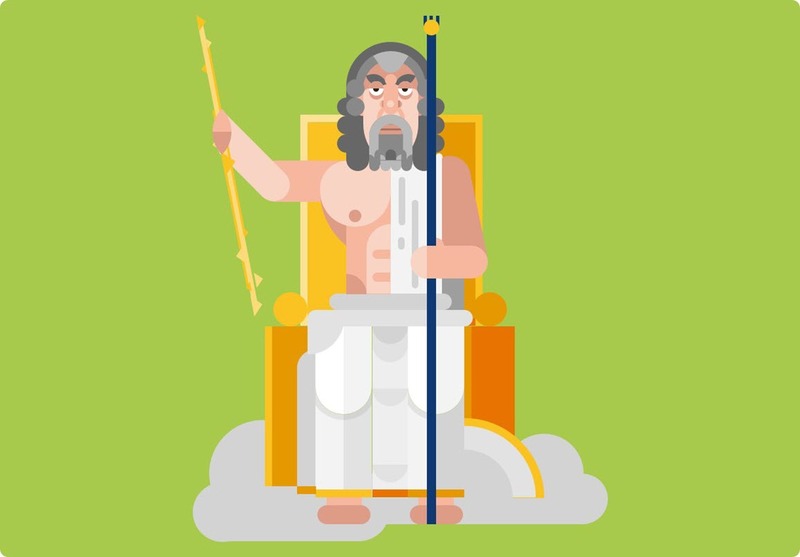 What was the Statue of Zeus at Olympia? The Statue of Zeus was 13 metres tall and made out of wood, ivory, and gold. It was also decorated with ebony and precious stones, as well as other pieces of ivory and gold. It was in the Temple of Zeus, who was the king of the gods of Mount Olympus. It was sculpted by Phidias around the year 435 BCE and intentionally destroyed during the 5th century CE, though we aren’t certain how. Why was the statue destroyed? It was likely because of a Roman emperor at the time who banned the worship of gods aside from the one in his own religion. What was the Mausoleum at Halicarnassus? The Mausoleum at Halicarnassus was a tomb for Mausolus, who was a satrap in the Persian Empire.The mausoleum was covered with detailed ‘reliefs’ of famous stories, such as the battles between the centaurs and the lapiths and the Greeks and the Amazons. We now use the word mausoleum to mean above-ground tomb. Do we still have some of the reliefs today? Yes, we have sections of the reliefs in the British Museum. 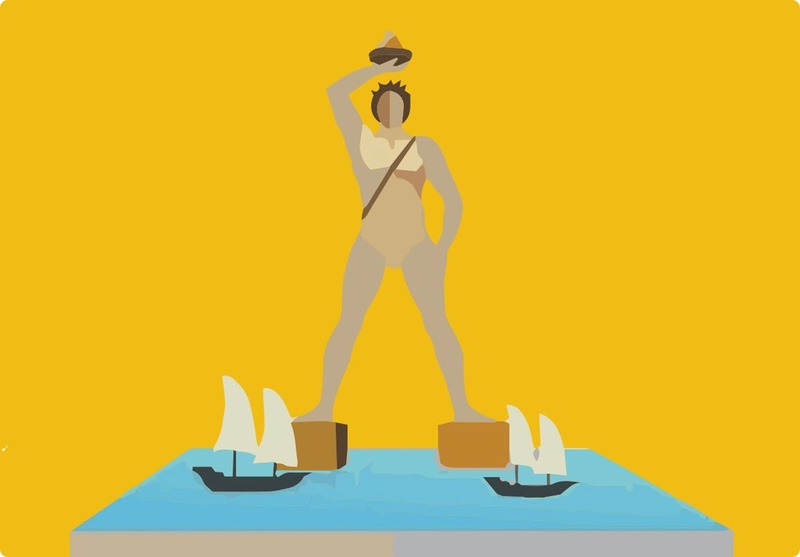 What was the Colossus of Rhodes? The Colossus of Rhodes was a 33 metre statue in Rhodes Harbour that depicted the Greek sun-god Helios. The Colossus of Rhodes broke off at the knees and fell to the ground during an earthquake in 226 BCE. There are plans to rebuild this statue, but we are not sure of the exact place that it was located. Why wasn’t the statue rebuilt after the earthquake? Ptolemy III offered to pay for its reconstruction, but the people of Rhodes were worried that the earthquake had happened because they had angered Helios. 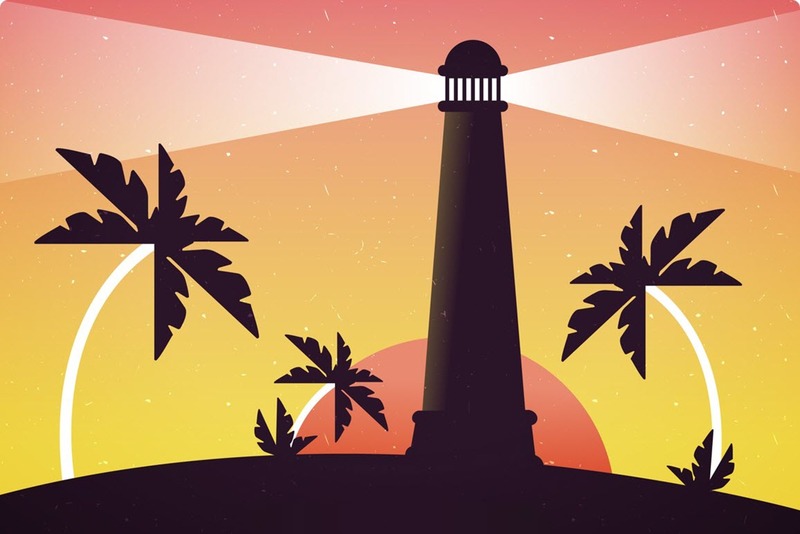 What was the Lighthouse of Alexandria? The Lighthouse of Alexandria was built sometime between 280-247 BCE during the reign of Ptolemy II Philadelphus. It was badly damaged by three earthquakes that occurred from 956 – 1323 CE. Some of the stone was used to build a medieval fort on the site, and the submerged remains can be explored today by scuba divers. Are the submerged remains of the Lighthouse of Alexandria protected under world heritage? Not yet. As of 2018, UNESCO is working to add the Bay of Alexandria to the World Heritage List. What are some other ancient wonders? There are many other ancient structures that could have been considered wonders. These include Machu Picchu (the 15th century Inca citadel) and the moai statues on Easter Island which were carved after the likeness of the ancestors of people in that region. Two other contenders are the Taj Mahal, which is a marble mausoleum in India, and the Terracotta Army in China which depicted the soldiers of the first Emperor of China, Qin Shi Huang. 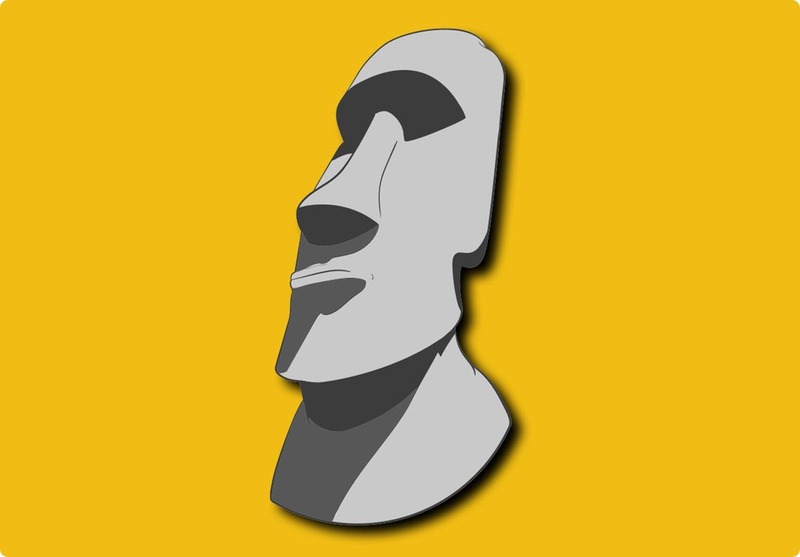 When were the Moai statues carved? Between 1250 and 1500 A.D.
Why is it important to protect our ancient wonders? Whether an ancient wonder is on the list, off it, in ruins, or still intact, it is important for us to look after them. Understanding the history of our species can give us amazing insights into where we have been and where we are going. These wonders are also important for the identities of the places that they come from, and for humanity as a whole. What does it mean when a site is listed as World Heritage? These areas are protected from development that would harm the structure or alter it in any way.